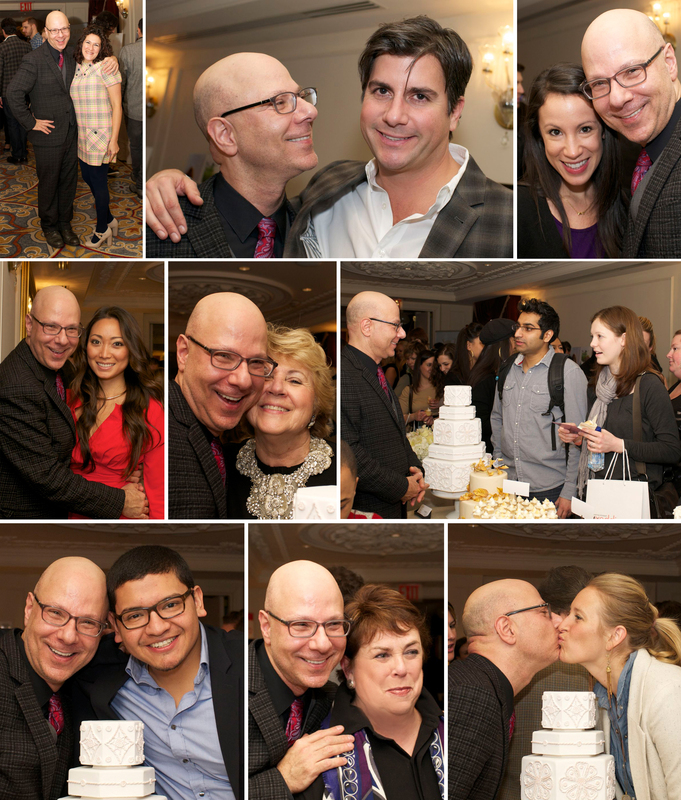 (From top to bottom and left to right) Xochitl Gonzalez of AAB, Anthony Luscia of Martha Stewart Weddings, our client turned event planner Tamara Sanford, Annie Lee of Daughter of Design, Mara Urshel owner of Kleinfeld’s, Ron chatting up a bride and groom from Canada, Allan Zepeda (fabulous photographer and friend! ), Marcia Selden of Marcia Selden Catering and Mel Barlow of Mel & Co. 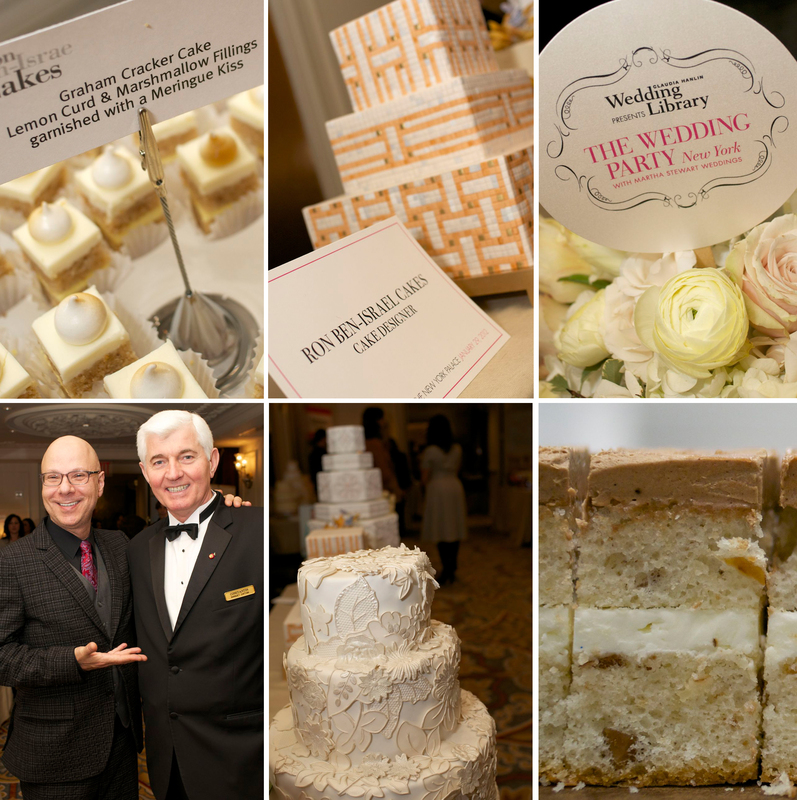 Yesterday was our date with the Wedding Library for the annual “Wedding Party” with Martha Stewart Weddings. This is basically one-stop shopping for the bride. It was at one of our favorite locations in the city, The New York Palace Hotel. The day consisted of us chatting up potential brides with any and all questions they had about wedding cakes. I didn’t get to see as many of the vendors as I would have liked to. I always enjoy seeing how the vendors style their booths and display their products. It was a busy day for everyone and of course we had a great time! We brought a delicious selection of cakes (as we usually do). One option was a Graham Cracker Cake with Lemon Curd & Marshmallow Fillings garnished with a Meringue Kiss and our other option was an Almond Cake with Nutella & Coconut fillings garnished with a Chocolate shard. 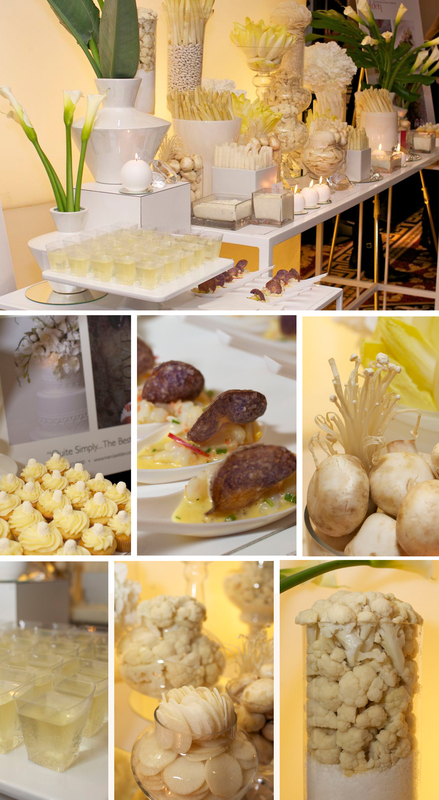 One of my favorite vendors at the event was Marcia Selden Catering. I loved this table design...very inspiring! 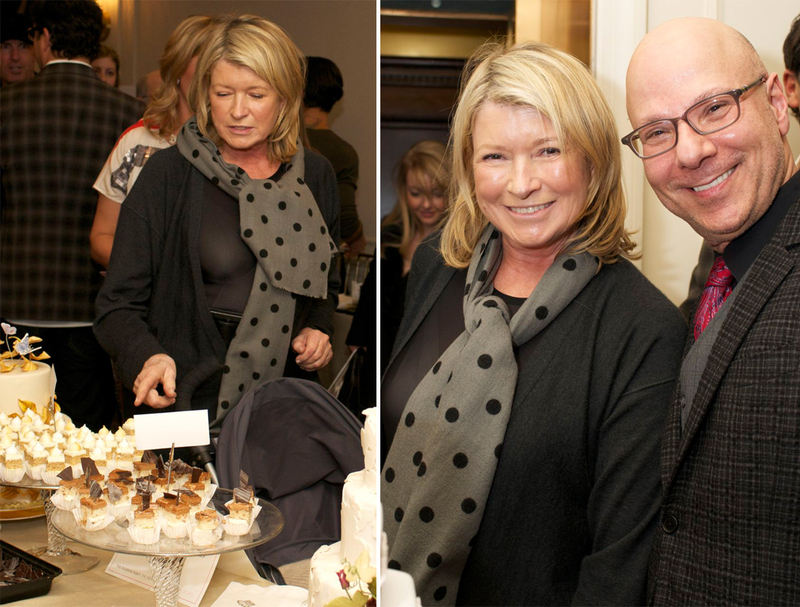 Martha did stop by for a bit of cake and to say Hello to Ron. Ron & Rebecca SHINED at the Wedding Party yesterday! The most gorgeous cakes and the most delicious too!! Your Graham Cracker Cake with Lemon Curd & Marshmallow Fillings garnished with a Meringue Kiss was Delicious! Gosh, I wish I could have been there. Someday, I WILL meet Ron Ben-Israel and maybe even study under him. And perhaps someday, I, too will have a display of my creations at a Martha Stewart Wedding Show. For now, I can dream and pray and keep working…Thanks for sharing! Oh, and I will try to check out that beautiful new book for inspiration!